Ministry of Defence site Marne Barracks is a large off-gas barracks serving the areas of rural Yorkshire. 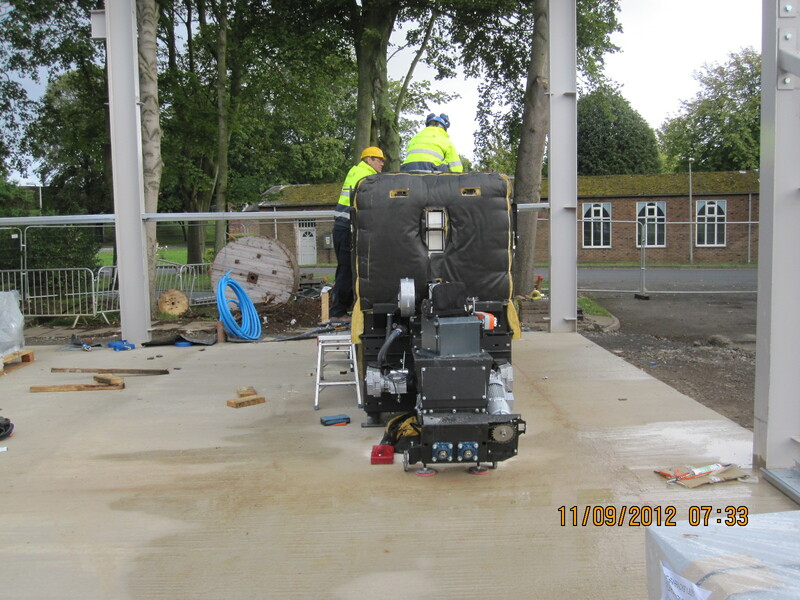 District heating was proving to be expensive and management was also keen to cut the site’s carbon footprint. Government specified Enterprise Energy Services were consulted in order to propose a more suitable alternative heating system. Through the construction supply chain Rural Energy offered a biomass heating solution including two Herz BioFire boilers, a 995kW and a 600kW, to meet the large heating requirement. 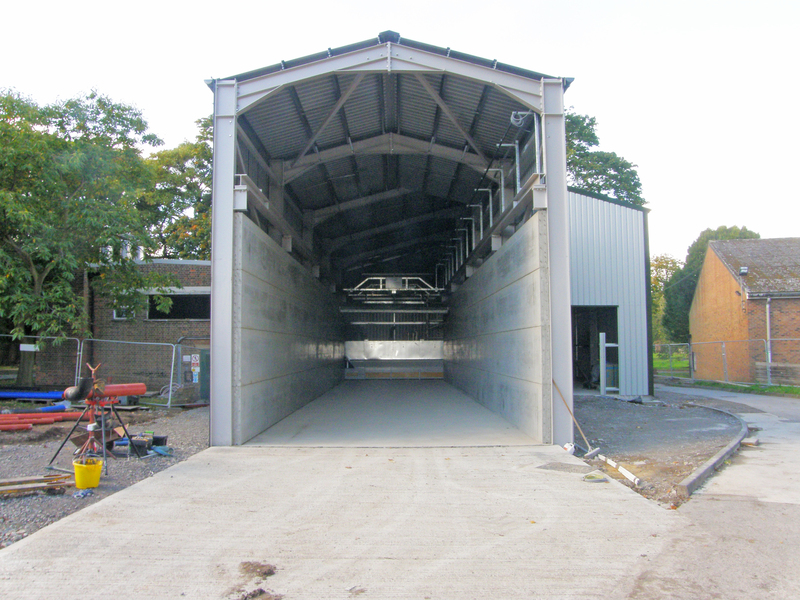 Rural Energy was contracted to project manage the installation of this 1.6MW system, including the construction of a large purpose built energy centre consisting of a plant room, fuel store and top loading overhead fuel delivery system. In order to meet the large heat load with these two Herz BioFire boilers, Rural Energy’s in-house engineering and technical design teams calculated the size requirement for the construction of a large fuel store. Part of this design included the implementation of a top loader: an overhead fuel delivery system. 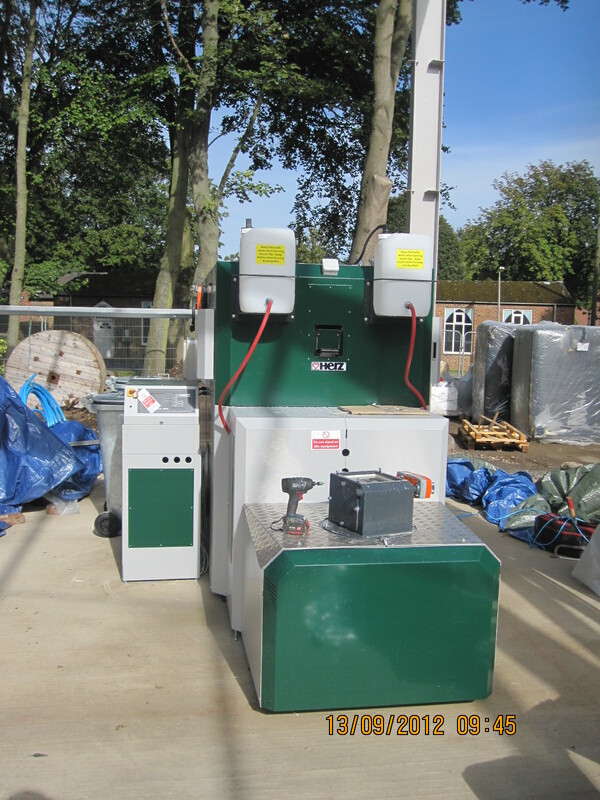 The top loader solution is typically used for a range of agricultural applications but works superbly with wood chip in biomass applications. It moves over wood chip fuel where it is deposited on delivery and scrapes it into the main part of the fuel store and towards the auger screws which transport the chip to the boiler. This allows for large fuel deliveries, cutting down the number of deliveries per annum. It also ensures easy maintenance as the system is held above the fuel, so prior emptying of the fuel store is not necessary. This 1.6MW MOD district heating system now supplies sustainable heat and hot water to numerous buildings on the barracks.